"I CAN’T IMAGINE COVERING EMERGING MARKETS WITHOUT EMIS." "EMIS is a fundamental tool to develop new business with our clients." 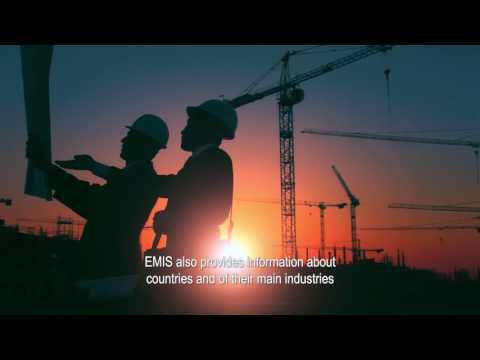 "EMIS supports us in our decision-making." "You have developed a critical tool for businesses operating in these markets. The depth of your service is beyond compare." "Two-Thirds of the world is covered by water. The rest is covered by EMIS." "EMIS allows us to be well-informed about latest political, economic, corporate, financial news as well as important sectoral updates, development trends, statistics and analytical reports"
"EMIS' unique proprietary data gives you a view of the ever-changing emerging markets directly from the front lines." "I can't imagine covering emerging markets without EMIS"
"Great information, well packaged, and intelligent people ready to help at any time."